William Arthur Smith, 91, laid down his burden Friday, November 16, 2018, at Kingston Memory Care in Fort Wayne. He was born in Montpelier, IN, the son of the late Benjamin William Smith and Maggie May (Morris) Smith. On June 17, 1951, he married Jacqueline "Jackie" Huffman and they had 61 years together. 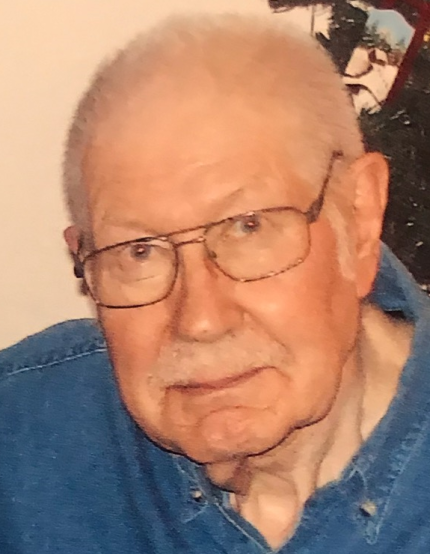 A Husband, father, grandfather and great-grandfather, Mr. Smith was a Korean War era Air Force veteran who worked 34 years at International Harvester as a master electrician and maintenance foreman, and later at Historic Mill Creek Discovery Park outside Mackinaw City, Michigan. A native of Montpelier, Indiana, he spent most of his life in Fort Wayne and his beloved northern Michigan. A master woodworker and lover of history, he was preceded in death by his wife, Jacqueline (Huffman) Smith, and a grandson, Ryan Bradley Guest. He is survived by a son, Benjamin Smith of Ft. Wayne; a daughter, Angela (Scott)Springer of New Haven; a brother, Robert E. Smith, of Glenrock, Wyoming; a son-in-law (Scott Springer) and daughter-in-law (Julie Creek); four grandchildren (Amy Gordon, Hannah Springer, Johanna Smith and Grant Smith); and two great-grandchildren. Visitation will be on Sunday, November 18, 2018 from 1:00 – 3:00 p.m. at Haggard-Sefton-Hirschy & Zelt Funeral Home. Memorials may be made to Heartland Hospice or Riley Children's Hospital.